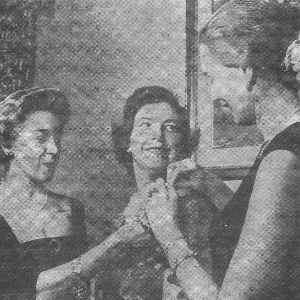 The Junior League of Long Island started in 1951 as the North Shore Service League, a non-profit organization. It started with a group of 288 young women who did volunteer work within Nassau and Suffolk Counties. At that time, the members ranged from college age to 40 – which in Service League language was sustaining age and meant you could no longer vote. This “rule” is no longer in play. Our members range from all ages. 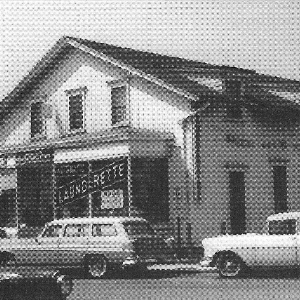 In 1959, the North Shore Service League purchased our current and existing Thrift Shop in Roslyn, NY – in the heart of Roslyn Village! Along with hard work, fundraising and help from The Phillips Foundation, the League was able to purchase this building. The building came complete with “Wash and Wilt with Sid and Milt” the laundromat on one side of the first floor and a set of tubs in the basement. There was a dancing school on the second floor. The ladies worked very hard – painting, cleaning, moving out furniture, moving in furniture, decorating and making a true “home” for the future Junior League of Long Island. 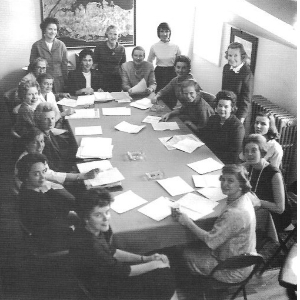 After much persuasion, the Association of Junior Leagues International came and inspected our organization, structure, fundraising and commitment, and we were finally inducted in the AJLI in 1962. Our building is now considered “historic” and is maintained as such following Roslyn Village regulations. This building is truly our legacy and acts as our headquarters, general offices and houses our main and largest fundraiser, our Thrift Shop.